Injury is a risk every mountain biker takes. 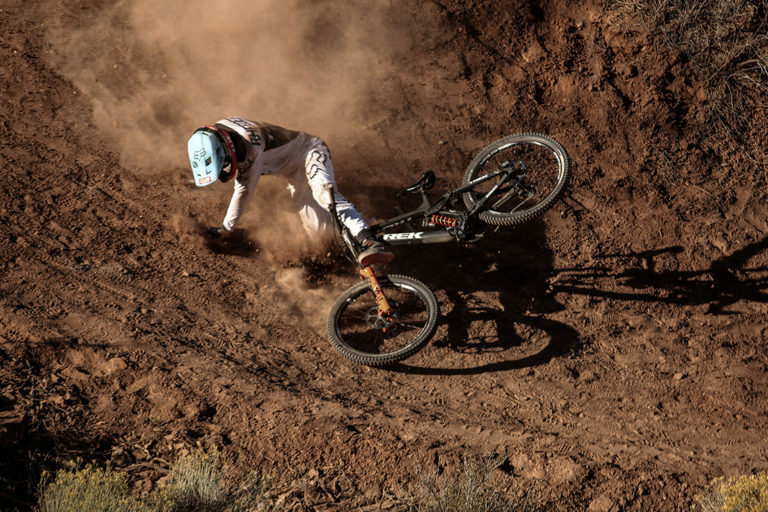 As Greg Heil once wrote, “the pain, the suffering, the injury, is coming for all of us.” Whether that’s true or not, I know from personal experience that there are ways to reduce the chance of being injured from MTB crashes. Here are four simple things that anyone can do to reduce their risk of mountain bike injury. Strength training is not as much fun as blasting through the woods on a mountain bike. However, all mountain bikers should do strength training on a regular basis. Developing strong core muscles give us greater balance and control on the bike. Not only that, adding muscle mass will protect your bones in a crash, reducing the likelihood of fractures. You don’t need to lift weights until you bulk up like a body builder. Instead, try MTB-oriented workouts like the one Matt Miller suggested in a recent article, or like the ones James Wilson mentioned in this podcast interview. No one wants to fall off their bike, but it’s bound to happen at some point. When it does, how you fall might make all the difference in whether your body gets hurt or not. The first thing you need to learn is that you should never tense up or brace yourself when falling. Broken wrists and collarbones are commonly caused by doing so in an over-the-handlebars crash. Instead, relax your muscles. Second, try to tuck and roll when you fall. This maneuver has two purposes. It helps protect your limbs, and it helps dissipate the force of impact when you hit the ground. I’ve fallen off bikes the right way, and the wrong way. Believe me, the right way is much less painful. This drop may not look like much, but it really intimidates me. 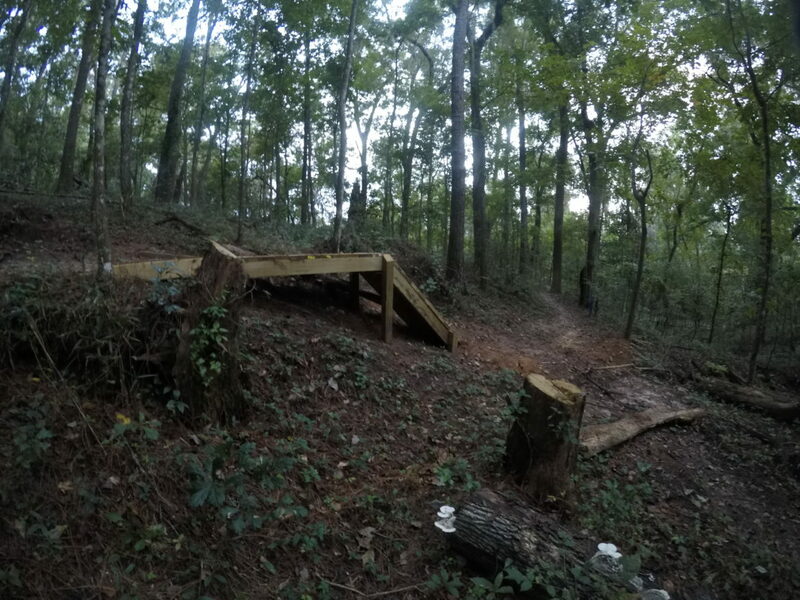 There are features on trails that scare me. I just can’t get comfortable with steep, technical descents. I don’t like the feeling that I could fly over the handlebars at any moment. I’ll occasionally attempt a steep drop if I’m feeling confident, but if I’m not feeling it, I either walk down, or ride around. Every time I have attempted to push through a feature I’m not comfortable riding, the results have been disastrous. Whether it’s your own ego, or pressure from your riding buddies, don’t give in if you are not comfortable doing so. You are no less of a mountain biker if you err on the side of caution. If you want to advance in your riding, do so at the pace you are comfortable with, and/or in a designated skills progression environment (think coaching sessions, foam pits, and skills areas). 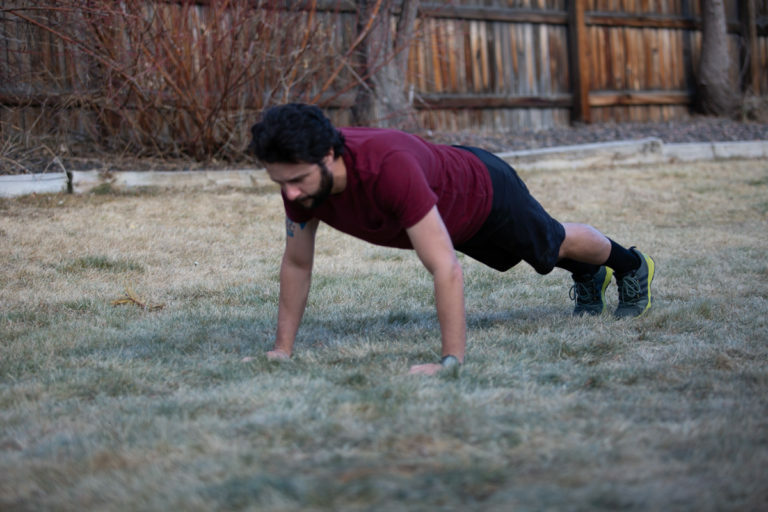 You’ll make more progress this way without having to overcome setbacks from injuries. Wearing a mountain bike helmet is a no brainer (ha! ), and it may even be required by law. Protective gear won’t prevent all injuries, but in most cases it can significantly reduce the severity. 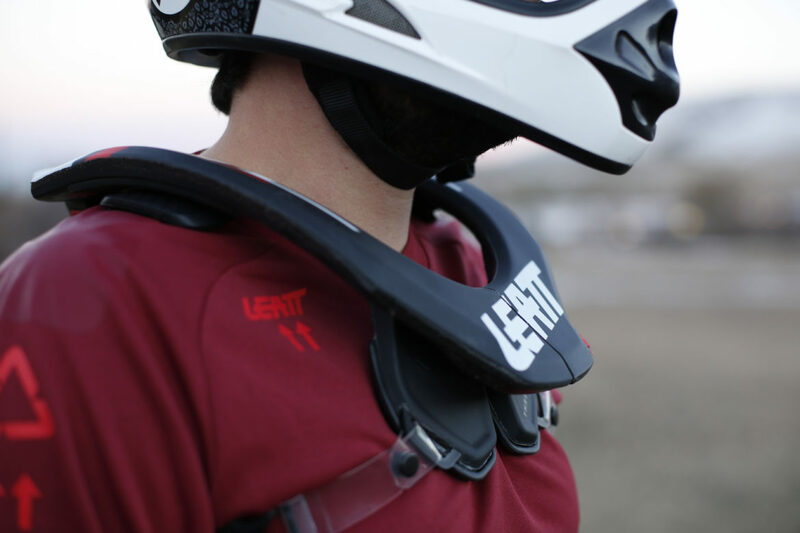 Beyond helmets, consider knee and elbow pads, chest and back protection, and even a neck brace. Manufacturers are starting to build protective features into everyday wear items like hydration packs and even jerseys. Consider adding one or more of these pieces and you just might be surprised how little they interfere with your riding comfort. 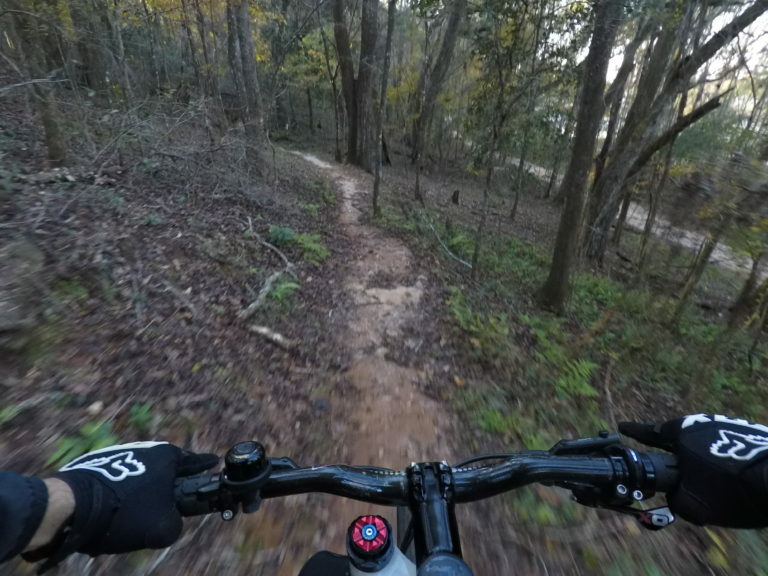 I’m not willing to forgo the joy of riding through the woods just because I might get hurt doing it. Even if you follow all four of these suggestions, the risk of injury will always be present every time you climb on a bike. Our goal as riders should be to reduce the risk as much as we can. The tips I have provided will help you meet this goal, and better enjoy your rides. 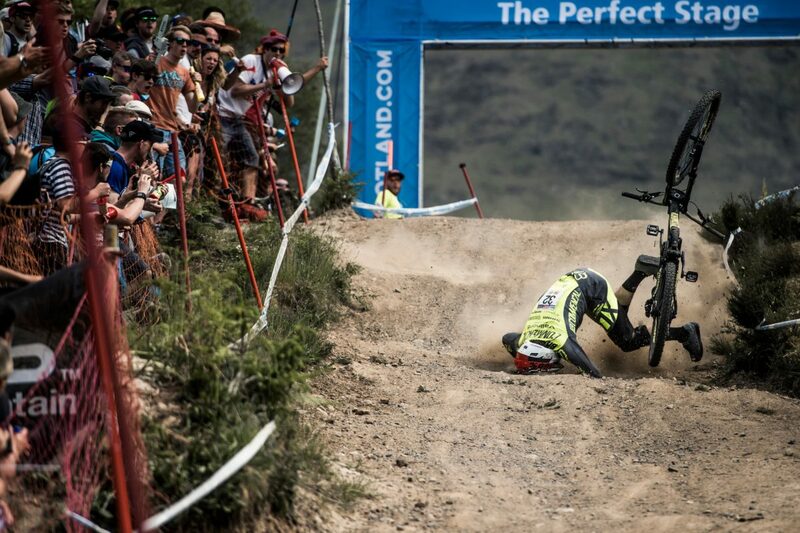 Do you have a suggestion for reducing the risk of injury from MTB crashes? Please feel free to share it in the comments section below.